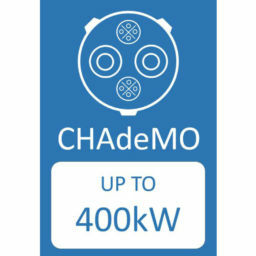 CHAdeMO celebrates double achievements: 2000 chargers in the US and 4000 in Europe. Together with Asia and the rest of the world there are over 13500 CHAdeMO chargers globally, a strong 35% growth in 1 year. 150kW chargers are expected in Europe in 2017. Stepping into its 8th year of its existence, the association celebrates simultaneous reaching of 2000 publicly available CHAdeMOs in the US, 4000 in Europe and 13 500 globally, which means a 35% year-on-year growth. The historic milestones come amid a growing awareness of the role electric mobility plays in the reduction of CO2 emissions from transport globally. To date, almost 600 000 CHAdeMO-compatible EVs and plug-in hybrids around the world have found their owners. 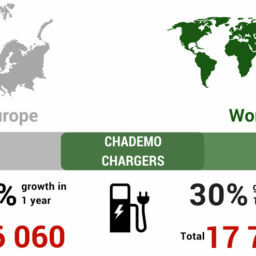 Accompanying this growth in vehicles and charging opportunities is the expansion of CHAdeMO’s reach worldwide. Eight new countries were added to CHAdeMO map in 2016. EV drivers in Afghanistan, China, Colombia, Croatia, Nepal, Sri Lanka, Thailand and Ukraine can now benefit from CHAdeMO fast charging, bringing the batteries of their EVs from 0 to 80% in 30 min. 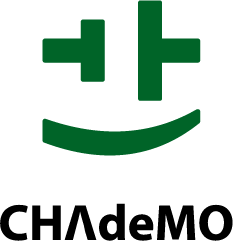 We are particularly pleased by the global dimension of CHAdeMO development in 2016. More and more countries are realising the benefits of electric mobility and they come to us to learn more about the crucial element in encouraging the adoption of electric vehicles – CHAdeMO DC fast charging. Our impeccable safety record, identical protocol across markets and an established, reliable certification system provide a robust base for more EVs to come. As electric mobility globalises, so does CHAdeMO. To its status as an international, IEC standard and a European standard published by CENELEC, in 2016 CHAdeMO added also the honour of becoming an American standard, published by IEEE. While the protocol’s most commonly known version enables 50kW charging, the association actively works to prepare for EVs with bigger batteries. In June 2016, it announced that it was finalising the newest update to the protocol which shall enable charging with up to 150kW, with its first products expected to hit European roads in 2017. 2016 was an important year for us: CHAdeMO numbers grew both in terms of chargers as well as vehicles; we have expanded CHAdeMO’s recognition as an international standard; first commercial, CHAdeMO-based V2G project started in Denmark and we announced an update to the protocol that would enable 150kW charging. 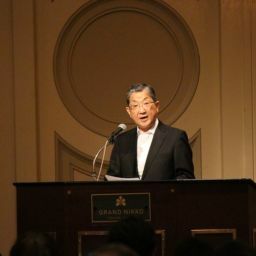 All this confirms our leadership position in the market, and most of all trust that the market places in us.